This is not a legal document and cannot be interpreted or construed in any manner as such. Property owners should seek legal advice and counsel in related civil matters and/or other private actions where disputes arise. The Boardman Township Road Department strives to help the residents of this community in alleviating re-occurring drainage and/or flooding problems on private property, and is always willing to help homeowners by providing counsel and guidance or steering citizens in the right direction when the Road Department is unable to solve an immediate problem at hand. The first step is to try and determine the exact source and nature of the problem, and subsequent steps will be the result of where the water problem is actually located. Is the problem in the home or basement, OR in the yard? If the problem is in the home or basement, try to determine what the source of the water is: does the water have a color or odor? Or, is it clear and odorless? 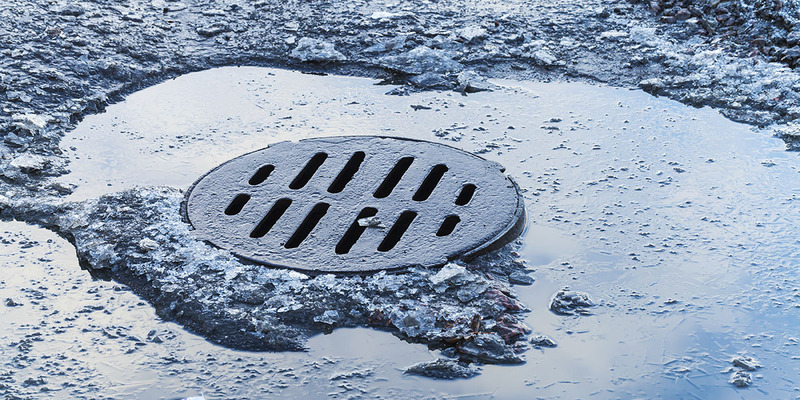 ✓ Call the Mahoning County Sanitary Engineer Department to find out if they are experiencing any sanitary sewer troubles in the specific area, and ask for a routine check of the sanitary lines to ensure that there is no blockage. In many cases, a private drain service company may be needed to check for blockages in the lines from the home to the main sanitary line; this is the responsibility of all homeowners. When water is clear and odorless, this may indicate the possibility of the failure of footer and/or downspout lines. In some cases, age plays a part in such failure. Over time, footer and/or downspout lines become clogged with dirt or debris, and can cause back-ups to occur in the basements of many homes. In older homes, downspouts that are tied into footer or sanitary lines may cause clear water to back-up into basements. A private drain service company may be needed to clear any clogs or blockages that exist in the lines. 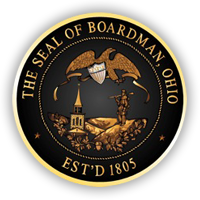 ✓ Call the Boardman Township Road Department to verify if the problem is in fact related to the functioning of the storm system on the street. If the problem is within the street, the Road Department may have to clear the storm lines to alleviate any blockages that might be located. Is the source of the water due to low elevation (low spots) in the back or front yards? ✓ Low Elevation: this may require the help of a private contractor to determine where the low spots exist and the best method to fill in those areas. The best way to get proper drainage from those areas would be to pipe to an efficient system such as a street, storm line or other acceptable system. In such cases, the Boardman Road Department is always available for any line tie-ins that a contractor believes are necessary. Are the downspouts not properly tied into a storm water system, or are they potentially blocked by debris and resulting in water flowing onto private property, yards or driveways? ✓ Downspouts: if downspouts are blocked, a private drain service company may be needed to clean the lines in order to ensure proper flow. If the downspouts are not piped into a system, a private contractor would be needed to properly tie the downspouts into a storm water system. Again, the Boardman Road Department is always available for any line tie-ins that a contractor believes are necessary. Is water flowing from an adjacent neighbor’s yard overland because of landscaping that negatively impacts proper water flow, or downspouts that are not tied in properly? ✓ Neighboring Water: these scenarios may require the need for civil/legal action in a court of law involving private property owners. Another possible solution could come in the form of creative landscaping by homeowners, such as diverting the flow of water through a swale cut between neighboring properties to allow water to flow to the street or the nearest storm system. 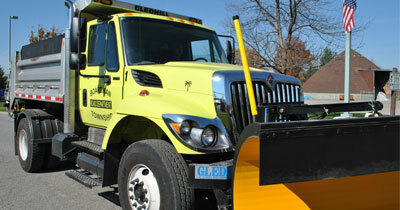 Again, the Boardman Road Department is always willing to advise and will mediate to the extent law allows. Is water resulting in back-yard ponding? French Drains may be installed throughout the yard and piped to the drainage system at the street or into the existing storm system. Dry-Wells may be used if no system is available to the homeowner (in other words, dry-wells would be used in lieu of French drains). ✓ Further information on rules and regulations for both French drains and drywells can be obtained through the Mahoning County Board of Health. Is there general blockage in storm lines causing water to back up from the street or, in rare instances, from those storm lines that run through backyards that may experience a back-up? ✓ Blockage: a possible blockage in the storm line where it appears that a catch basin (or basins) is holding or not taking in water would require a call to the Road Department. The Road Department then dispatches the Vactor Sewer-Jet Truck to clean the basin(s) and jet the existing lines to alleviate the problem.